A new report, Nursing Leadership from Bedside to Boardroom: Opinion Leaders' Perceptions, was released last month by the Robert Wood Johnson Foundation. Based on a Gallup poll survey, this study revealed that an overwhelming majority of the 1,504 opinion leaders who participated believe nurses should have more influence on healthcare and services. Undoubtedly most nurses, especially those supporting HR 4601, The National Nurse Act of 2010, will concur with these findings. Key barriers to increased influence for nurses cited in the survey were 1) nursing not being perceived as important in the decision-making process (69%); 2) nurses focus on primary rather than preventive care (62%); and 3) nursing not having a single voice to speak authoritatively on national issues (56%). All of these are reasons to move forward to implement an Office of the National Nurse to help address these deficiencies. Having a visible and prominent National Nurse would be one way to begin to overcome these barriers and set an example of how nurses can take their deserved place at the table for health care reform. Please read the excellent synopsis of this study to see for the parallels and familiar issues discussed. In many ways, this report confirms the need and rationale for elevating the Chief Nurse Officer of the U.S. Public Health Service to serve as the National Nurse as 86% of those surveyed they would like to see nurses have more influence in promoting wellness and expanding preventive care. Thanks for sharing this wonderful information which can be very useful for nursing students. Debbie Orre MSN, RN and National Nurse supporter traveled to Haiti to volunteer as a nurse last month. Debbie provides us with this personal and firsthand report including these pictures. On January 19th I was given the privilege and opportunity to travel with a medical group to Haiti. We arrived eight days after the earthquake from Santiago in the Dominican Republic via charter plane, ultimately landing on the road-become-airstrip in Leogane. The group I was associated with is part of an organization called Forward in Health, founded by our local Pediatrician, John Mulqueen and his wife, Paula (a nurse). They have been in existence for about six years now and are currently building a clinic in the northern part of Haiti. Fortunately for them, this area was not badly damaged in the quake. They soon began to receive urgent emails, however, from a mission they work with while down there called Mission of Hope, pleading for their help. John and Paula mobilized the people and gathered the supplies in 5 short days. In turn the pastor of the mission and his wife, Lex and Renee, agreed to host us and provide the necessary vehicles and drivers. Thus, once we arrived in Leogane, we were ready to roll. Lex took us immediately to a village in the mountains called St. Etienne for our first clinic and we went to work treating an assortment of fractures, dislocations and infected wounds. Later that afternoon, once we had seen everyone there, we were brought to the mission house of our hosts, where we feasted on a wonderful meal of spaghetti and slept on our choice of either the concrete ground, the bus we used for travel, or in the case of our obstetrician, a long, folding table. Over the next few days, we ran clinics in Gran Goave, where Lex and Renee’s mission is located, or traveled to a variety of tent cities treating people out of the back of our box truck. Our last day was the most difficult for us. A medical group from Doctor’s Without Borders asked us to relieve them so we traveled to a town called Petit Goave on the other side of the mountain. There was a hospital there but it was too badly damaged to use so the group had erected a clinic/tent and, in their absence, we were able to take it over. It was still early but there were already many patients lined up for us to see. The day became hot and busy, and we had a hard time keeping up. We saved the two most difficult cases for last. The OR at this hospital was in a separate building that had not been too badly damaged to use. With the help of several Cuban doctors and nurses we were able to debride a badly burned boy and do a below the knee amputation on a 10 year-old under more sterile conditions. Packing up to leave that evening we found we had many conflicting feelings. While we knew that many of the people we treated may not otherwise have received care at all, we also knew that we were delivering a sort of ‘hit and run’ medicine, leaving us worried about follow up and survivability of patients once we left. We were creative and able to adapt treatment methods to fit our circumstances, adlibbing as we went, but were not use to the harsh circumstances we found ourselves in. There were four doctors with us: a pediatrician, obstetrician, family practitioner and orthopedic surgeon. There were also 7 nurses, a lawyer who functioned as our pharmacist and an EMT. None of us practiced within our traditional roles, performing what needed to be done, when and how best we could. Our evenings were mostly unpredictable and involved at least some of us working at any given point in time. One night, our obstetrician was approached to assist in a breach-birth delivery. Unfortunately, the baby didn’t make it. Another night found five of us walking to a nearby clinic to see several patients we had previously agreed to see, and even brought along one of our own because they had a room that was more conducive to the use of light anesthesia (Ketamine) and joint manipulation. As we were leaving, we were asked to go into a tent city that had sprung up just outside the clinic to see a patient who was ill. Its interior presented us with unique difficulties made worse by the fact that most people were already asleep. Because they were so close together we had to step over them and onto their blankets in order to even get to the patient. The rooms were sectioned off with blankets in a disconcerting and haphazard maze. We soon found ourselves mumbling over fears of being unable to find our way out or, worse yet, tripping and falling on someone, especially in the dim to nonexistent light. On another evening, the family practice doc was asked to see a local 36 year-old woman whom he diagnosed as being in a severe Sickle Cell Crisis. He worried about her throughout the night and first thing in the morning hopped onto a motorcycle with a visiting pastor to drive the mile or two down the road in order to approach a group of US Navy men recently stationed there. He asked them to assist him in getting both she and another young man onto the medical ship, Comfort, in the Port-O-Prince harbor. They readily agreed and were very helpful in gathering up the patients then transporting them via helicopter onto the ship. The doctor cradled the woman in his lap the whole way hopeful that she would pull through but unfortunately we recently found out that she had died. On our last evening there, we were all invited to dinner at the United Nations (UN) Compound near where we were staying. The UN also provided us with food and water during our busy day in Petit Gaove. They patrolled the streets where we stayed each night, since the walls surrounding the mission house had fallen during the quake, and we often saw them in the process of handing out food and other supplies. I believe that I speak for each of us in saying that we returned home awestruck, exhausted and grateful for the opportunity to serve the people of Haiti during a time of such great need. More information concerning our trip and other information concerning Forward in Health is available on their website at http://forwardinhealth.org. Donations would be greatly appreciated. And one that would move me beyond my ordinary ‘self’. And produced in me a sense of awe and humility. I had become someone more than the person I once was. Don't miss this opportunity to invest in the future of nursing and in the health of America. A small donation of $20.00 unites you to a broad based national network that works to provide a full-time, visible, effective National Nurse to do what nurses do best: health promotion, prevention, health education and nurse recruitment. This very small investment on your part puts you in the big picture. Please help. Please read on, to see how you will make an impact. Members of the NNNO are going to Washington, DC to lobby for HR 4601, The National Nurse Act of 2010. We are in need of your financial support ASAP, and you can be 100% certain that every penny will be utilized responsibly! We are gearing up to lobby Washington DC and we welcome and encourage supporters to join us. Visiting our elected officials on Capitol Hill and with national leaders is important to generate and solidify support for HR 4601-The National Nurse Act of 2010. We must bring newly elected legislators on board, and re-engage members who have supported our goals in the past. In contrast to the National Nursing Network Organization, lobbyists for big companies spend millions to influence Congress. We operate on a shoe-string budget but our strongest asset is a great idea, fueled with vision, passion, tenacity, and supporters like you. While the NNNO board members ALWAYS absorb much of travel costs personally, donations are needed to defray these expenses, as well as daily business operations. Not one donation penny goes toward any salary for any NNNO board member, or other person. And every cent is diligently accounted for. A $50 donation by our endorsing organizations would go a long way to cover this outreach. And remember that all $20 contributions from individuals will assure your legislators receive a packet and certificate acknowledging your support establishing an Office of the National Nurse by elevating the current CNO of the USPHS to bring more visibility to nursing’s role in health promotion. To date we have received donations from supporters living in Arizona, California, Florida, Illinois, Maryland, New Hampshire, Nevada, New York, North Carolina, Oregon, Vermont, Virginia and the District of Columbia and we heartily thank them! Please make your donation on line or by emailing the NNNO Board for information on where to send a check. *Please be aware that while the NNNO is a non-profit corporation, it is not tax exempt, and therefore your contributions are not tax deductible. The sooner we get our National Nurse, the sooner the knowledge of nurses can be better utilized to get our nation on track to prevention and wellness. We promise to work hard and relentlessly on Capital Hill. 3rd Annual Healthy Living "Love Your Heart" A Resounding Success! February is HEART month and thanks to great leadership the third annual Healthy Living Fair "Love Your Heart" fair held at Tuality Healthcare in Hillsboro, Oregon was deemed successful. Over 100 members of the public came to learn more about their life style. Most had their blood pressure checked, some were screened for cholesterol and glucose, and all were provided with educational materials ranging from eating healthy to smoking cessation, risk factors and exercise. Nearly forty Portland Community College nursing students were on hand to answer questions and also to do one on one motivational interviewing. Participants were given the opportunity to evaluate the event and all strongly agreed or agreed that the Health Fair was worthwhile. It was especially rewarding to see returnees from previous years. The majority of those attending stated they planned to make a change in their normal routine based on what they had learned. The "Love Your Heart" fair is just one example of how having an Office of the National Nurse could make a difference in promoting health and reducing the rate of chronic disease. HR 4601-The National Nurse Act of 2010 calls for the National Nurse to "provide guidance and leadership for activities to promote the public health, including encouraging nurses and other health professionals to be volunteers and developing projects that educate the public about and engage the public in prevention practices to achieve better health." Activities were age appropriate and children were encouraged to play with an interactive heart or color paper hearts. 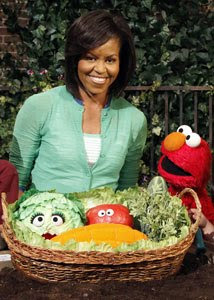 It is never too early to practice healthy living! s and developing projects that educate the public about and engage the public in prevention practices to achieve better health. What a good looking bunch of future nursed! Good job guys! "Health is wealth" is well known to all and everyone wants good health.So, Let us build a food habit discipline, keep pace with work, rest and exercise to Achieve good health, The ultimate wealth. 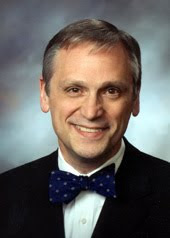 The National Nursing Network Organization commends Congressman Earl Blumenauer (OR-3) for sponsoring HR 4601-The National Nurse Act of 2010. We would like to share his statement with you. "We all have a story to share about how a nurse has impacted us, from the school nurse who tended to our kids to the nurse in the emergency room who was the first on the scene," said Congressman Earl Blumenauer. "Establishing a full-time National Nurse is an important way to make heard the voices of thousands of dedicated nurses across the nation. A National Nurse position will complement the work of the Surgeon General in addressing our country's public health challenges." Sandy Summers, RN, MSN, MPH Executive Director from The Truth About Nursing wrote to Congressman Blumenauer to express her support of HR 4601. Summers states, "We need a nurse leader with a high profile who can help raise awareness that nurses are college-educated professionals who save lives and improve outcomes. Bill HR 4601 for the National Nurse will help create a world where society and decision makers understand the value of nursing. Nursing is drastically undervalued and underfunded. When nursing education, practice, residencies and research are underfunded, patient care is weakened by insufficient quality and quantity of nursing care. The Office of the National Nurse would help end the societal disrespect of nursing that leads to this underfunding--underfunding which leads to patients needlessly dying." Washington DC – Thanks to the leadership and vision of Congressman Earl Blumenauer (OR-3), nursing sees its vision to improve the nation’s health introduced as a bill into Congress. The bill language can now be found on the Thomas Website and will be added soon to the National Nurse home page and News Link. On February 4, 2010, Blumenauer, a member of the 119-member House Nursing Caucus and the Ways and Means Health Subcommittee, introduced HR 4601 to create an Office of the National Nurse. To avoid duplication of services and minimize cost, the National Nurse Act of 2010 designates the position of the Chief Nurse Officer of the US Public Health Service to serve as the National Nurse. The National Nurse would function along side the Surgeon General. National Nurse priorities would promote health, improve health literacy and decrease health disparities. The Office of the National Nurse will strengthen the work of existing groups such as the Office of the Surgeon General, Medical Reserve Corps and community agencies through a more robust, visible, full- time, and modernized nursing leadership presence. Nurses are well positioned to provide this much needed change as they are 3.4 million strong, the most trusted of all health professionals, span all cultures, and are accomplished health educators. I think a National Nurse is a great idea and I am in full support. I am a working nurse and a nursing student hoping to complete my BSN. I like the idea that nurses will volunteer their time to support the public with information for general good health. I think most people have a high regard for nurses and for volunteers, so this is a winning combination. I am assuming a government sponsored website written by the Nurse Officer would also provide easily accessed information. It would be good if we could reach school age children and their parents to promote healthy lifestyles early on and I know that this is an important goal. Your initiative to combat childhood obesity is commendable and one that supports this year’s theme for National Nurses Week - Nurses: Caring Today for a Healthier Tomorrow. Nurses across the country fully support all efforts to attain a healthier nation. And we, the Board of Directors of the National Nursing Network Organization (NNNO) believe that focusing on health awareness among our youth is key. We are a non-profit organization of grassroots nurses devoted to informing the nation about the critical need for an Office of the National Nurse. As you know, nurses are well versed and educated on what it takes to lead healthy lives. As you recall your own experiences as a mother, there may be several instances when nurses provided you with messages that helped you and your loved ones stay well. The first meaningful contact a person born in the U.S. typically has, besides their parents, is with a nurse. It is the labor and delivery nurse who first teaches the mother-to-be about the importance of breastfeeding. Later, when the new mom is transferred, the postpartum nurse is responsible for teaching and educating parents about the importance of the baby's nutrition and care as well as the care of the mom and even the dad. Listening to the teachings of a postpartum nurse often makes the difference between successful or unsuccessful parenting. Throughout an individual's life cycle, nurses have numerous opportunities to teach health promotion during routine and “sick” visits to their healthcare providers. And nurses outnumber physicians by a ratio of three-to-one. Add to that the fact that nurses are among the most trusted professionals in the nation, and it is clear that the nursing profession is perfectly postured to partner with you to reach high goals related to childhood nutrition. Only one thing stands in the way of having the nursing voice heard and truly valued. That obstacle is the image of nursing. Unfortunately, nurses have to overcome powerful negative images that come from the media. Many of these images portray nurses as handmaidens to physicians, rather than as professionals with their own licenses who collaborate care with physicians, for the patient's wellness. The establishment of the Office of the National Nurse – and your endorsement of it – would go a long way toward towards achieving our goals of improving children's nutritional health and improving the public perception of nurses. A nurse alongside you and the Surgeon General would be a tremendous morale-booster for nurses. The public will benefit from nurses as national participants in ensuring the best nutritional and health education for the youngest, most vulnerable members of society. We would be honored if you call upon us to learn more about how effective our grassroots efforts to establish a National Nurse has been since the idea was first presented in an op/ed, America's Nurse, that was published in 2005 in The New York Times. Members of our Board will be traveling to Washington DC on March 25 and 26 and would be delighted to meet with you or a member of your staff. Health promotion is essential for improving the health of populations. For over one hundred and fifty years nurses have responded effectively to public health problems pioneered by the skill of Florence Nightingale, who spread the gospel to reduce communicable disease, Lillian Wald and Mary Breckinridge, just to name a few. During the 70’s nurses made many contributions to improve health care including the hospice movement, day care of the elderly, drug abuse treatment programs, rehabilitation services and home health. The US public health service estimates about 10% of all early treatment can prevent early deaths in the US, wheras population based approaches can prevent about 70% of early deaths through measures that influence lifestyle choices and the environment. RNs continue to actively participate in developing innovative ways to provide care through prevention by utilizing the nursing process. The nursing process enables the RN to assess illness and health care needs, plan interventions to meet those needs, implement effective plans and teach health care practices, effectively collect data, utilize the results to direct care and develop policy and research to promote health and prevent diseases. Nurses look to the past for their inspiration and explanation only to predict and promote the comprehensive approaches that it will take to accomplish successful strategies. The future health care promotion and complex needs of the public must be met in synergy with the most trusted profession voted by the public, the NURSE. Nurses truly make a DIFFERENCE. I commend and endorse your organization’s principles and efforts.